How long will it take the coaches to realize they’re listening to more than one voice? 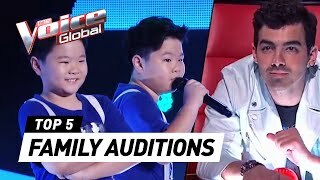 What do you think of these family auditions? WATCH THE FULL PERFORMANCES: 1. 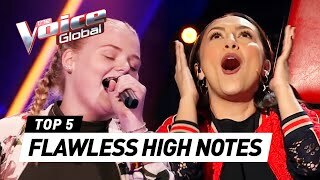 Homegrown sing 'Fast Car' (The Voice Australia): https://www.youtube.com/watch?v=1-w-9VhydNg 2. Only one sing ‘Besos usados’ (La Voz Teens Colombia): https://www.youtube.com/watch?v=dufVs28nZ74 3. O'G3NE sing 'Emotion' (The Voice of Holland): https://www.youtube.com/watch?v=m_1bteofDEo 4. โจอี้&เจฟฟรี่ sing 'Lemon Tree' (The Voice Kids Thailand): https://www.youtube.com/watch?v=MN0jsCmmoPU 5. 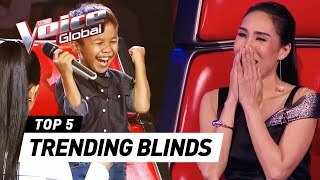 Ezra and Elisha sing 'Like I'm Gonna Lose You' (The Voice Kids Philippines): https://www.youtube.com/watch?v=AAkiqL7MqOQ Subscribe now to see more amazing 'The Voice' performances from around the globe: http://bit.ly/Voice-Global-Subscribe. These kids only had to sing a few notes to make the coaches turn. 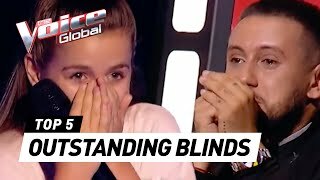 Check out these Blind Audition from all over the world now! WATCH THE FULL PERFORMANCES: 1. Mélia sings 'Redemption Song' (The Voice Kids France): https://www.youtube.com/watch?v=jFFD8ZHBzTA 2. Thomas Machado sings 'Beijinho Doce' (The Voice Kids Brasil): https://www.youtube.com/watch?v=66HJTVRp0vg 3. 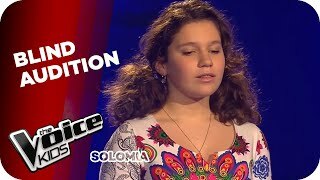 Katarina sings 'I Have Nothing' (The Voice Kids Belgium): https://www.youtube.com/watch?v=L3CDyVzKB2k 4. David sings 'Las Chamaquitas' (La Voz Kids Colombia): https://www.youtube.com/watch?v=n4CwebvF3dg 5. Vũ Thị Phương Linh sings 'LK Bèo Dạt Mây Trôi' (The Voice Kids Vietnam): https://www.youtube.com/watch?v=8_fHV3nQyXE Subscribe now to see more amazing 'The Voice' performances from around the globe: http://bit.ly/Voice-Global-Subscribe. 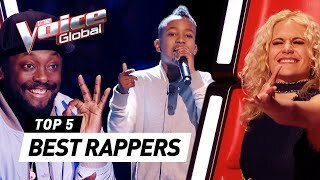 These kids from The Voice Kids don’t only have a great voice, they also know how to rap! 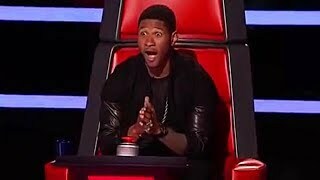 Check out these cool Blind Auditions now! WATCH THE FULL PERFORMANCES: 1. Lil' T sings ‘Shutdown’ (The Voice Kids UK): https://www.youtube.com/watch?v=HThK89jBPSI&t=1s 2. ฟ้า จิดาภา sings 'See You Again' (The Voice Kids Thailand): https://www.youtube.com/watch?v=u5yn661J-P4 3. Lukas sings 'Can't hold us' (The Voice Kids Germany): https://www.youtube.com/watch?v=iOx_Kl8fHfk 4. Jack sings 'Classic' (The Voice Kids Australia): https://www.youtube.com/watch?v=XEFQTD1z138 5. Jarmo sings 'Billionaire' (The Voice Kids NL): https://www.youtube.com/watch?v=NU0CiZ9Tr7s Subscribe now to see more amazing 'The Voice' performances from around the globe: http://bit.ly/Voice-Global-Subscribe. These EMOTIONAL performances will inspire and touch you! Check the compilation now! WATCH THE FULL PERFORMANCES: 1. 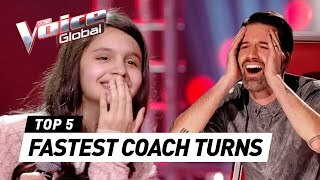 Silya Kacel sings 'Aimer' (The Voice Canada / La Voix Junior): https://www.youtube.com/watch?v=5H3uZNhQnd4 2. Abu sings 'My Heart Will Go On' (The Voice Kids Belgium): https://www.youtube.com/watch?v=D0jBICCdWjQ 3. Jasmin vs. Richard sings ' All Of Me': (The Voice Kids Germany): https://www.youtube.com/watch?v=iNmc6ROVkG4 4. Tabi vs. Erin vs. Riccardo sings 'Somewhere Over The Rainbow': (The Voice Kids UK): https://www.youtube.com/watch?v=pxDd9QaJCq4 5. Роберт Касьян sinsg 'Parlami d amore Mariu' (The Voice Kids Russia): https://www.youtube.com/watch?v=K_ugtGE_EOY Subscribe now to see more amazing 'The Voice' performances from around the globe: http://bit.ly/Voice-Global-Subscribe. These kids from all around the world surprised the coaches by singing one of their songs in the Blind Auditions. Who is your favorite? WATCH THE FULL PERFORMANCES: 1. Reynan sings 'Tagumpay Nating Lahat' (Lea Salonga) The Voice Kids Philippines: https://www.youtube.com/watch?v=2eZnZTYkNsY 2. Franser Pazos sings ‘Creo en Mi’ (Natalia Jiménez) La Voz Kids: https://www.youtube.com/watch?v=c4qc8fqc_Cs 3. 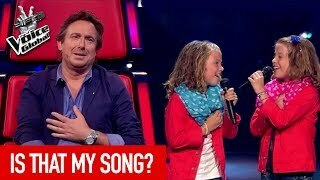 Jade & Senna sings 'Samen voor altijd' (Marco Borsato) The Voice Kids NL: https://www.youtube.com/watch?v=m6SFjbfXWec 4. Monica signs 'Karena Ku Sanggup' (Agnez Mo) The Voice Kids Indonesia: https://www.youtube.com/watch?v=RQMxPmNdApw 5. 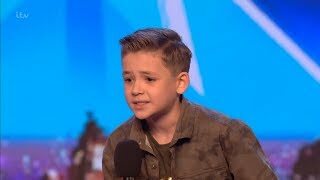 Lewis performs sings ‘Cry Me Out' (Pixie Lott) The Voice Kids UK: https://www.youtube.com/watch?v=woYJzUyHfHU Subscribe now to see more amazing 'The Voice' performances from around the globe: http://bit.ly/Voice-Global-Subscribe.